Passengers are welcome to board between 6:00 p.m. and 7:00 p.m. After comfortably settling into your cabin, join us for a welcome cocktail with the crew before dinner. Enjoy an evening of onboard entertainment. 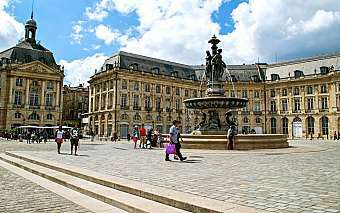 We will cruise down the Garonne to the Gironde to Pauillac. DISCOVERY as a supplement: Helicopter ride: Fly over the gorgeous Médoc! Experience a bird's eye view of the numerous châteaux and famous vineyards that give the region its reputation. It's a once in a lifetime experience! CLASSIC: Visit the Médoc (only available through pre-reservation with your travel agency before your departure) a renowned region where the most famous of all red wines in the world are cultivated. We also have the opportunity to see the “must see” châteaux Lafite-Rothschild, Latour and Mouton Rothschild. DISCOVERY as a supplement: Medoc: Biking, wine and cheese. Get ready to discover the history, architecture and out-of-the-way places in this exceptionally beautiful area. What better reward for the effort than a lovely glass of grand cru and some regional cheeses served in a prestigious château in the heart of Pauillac. We'll return on board for dinner and an evening of entertainment. We'll remain in port overnight. DISCOVERY as a supplement: We'll leave on foot to visit the Blaye Citadel, built in the 17th century by Vauban in order to better protect the city of Bordeaux. We'll return on board for dinner and an evening of dancing. We'll remain in port overnight. 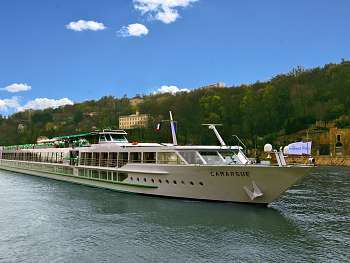 We'll begin to cruise early this morning, heading towards Libourne. 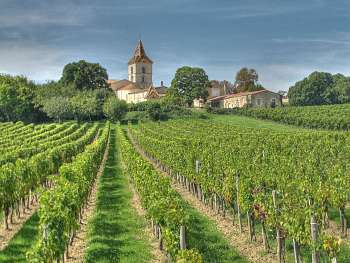 Excursion for both packages: Saint-Emilion and its famous monolithic church followed by a wine tasting session. Tonight's entertainment will be provided by the crew. We’ll remain in port overnight. DISCOVERY as a supplement: You'll set out for a guided tour on foot of the hillsides in Cadillac. You'll cross the city, passing in front of the imposing Château des Ducs d'Épernon before hiking up the vineyard trails to some of the most beautiful points of view of the river found in the area. We'll return on board, and the rest of the evening is yours to do as you please. We'll remain in port overnight. 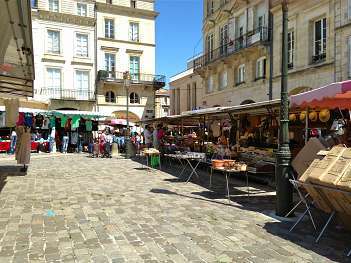 DISCOVERY as a supplement: We'll leave by bike from the Quai des Chartrons to see the locations and monuments in Bordeaux that have been listed as UNESCO World Heritage sites. Cycling along the Garonne to the Pont de Pierre, keep an eye out for the many amusing mascarons decorating the building facades. Tonight is our gala evening. For an optimal organization of the cruise, the order of the excursions can be modified according to the tide. Note to coach : double floor coaches are not allowed on many roads in Gironde, including in Libourne, Saint Emilion and Blaye. Transfers: For the safety of our passengers, the captain and crew of the boat may decide to modify the navigational itinerary. The cruise schedule may vary according to tides and arrival times at ports of call may be subject to change. 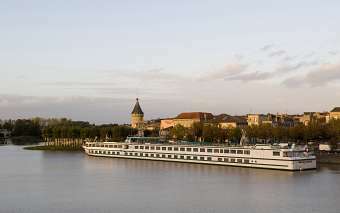 Depending on docking availability, stopover in Libourne may be replaced by Bourg. In this event, the order of excursions could be altered. Alcohol can damage your health. Please drink in moderation.